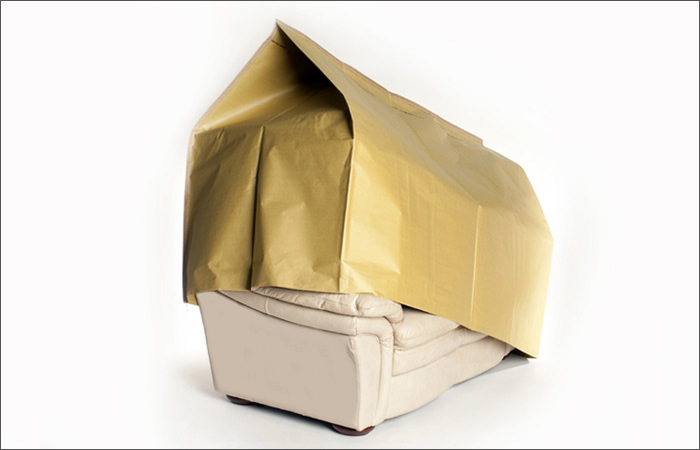 Constructed with heavy duty Kraft for total protection of chairs, sofas and other furniture items. Typical construction uses a 50# Kraft bottom, 2 inner plies of Medium or Bogus and a 30# non-abrasive Machined Glazed Kraft top. The cover has gusseted ends to form a cube shape with reinforced sewn seams.